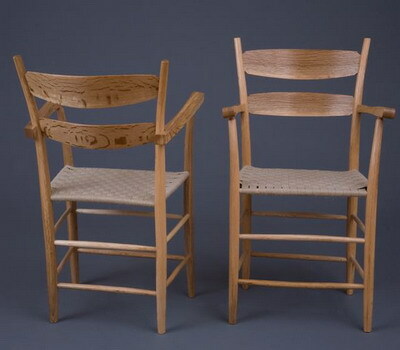 These chairs are made by Dan Stalzer in Fort Bragg Ca from native Tanoak using the greenwood chairmaking process developed in the 16th and 17th century in the British Isles. 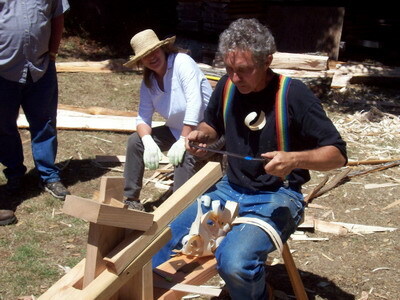 The logs are split when green and the parts are shaved while seated at a shaving horse using a two handled knife called a drawknife. After the parts dry out they are refined and assembled into a chair. 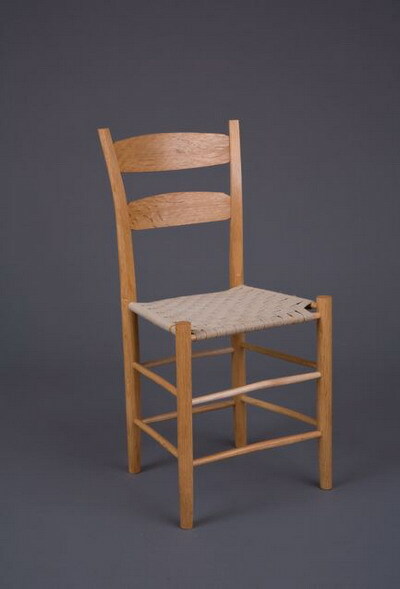 The seats are woven, in this case of 100% hemp webbing.